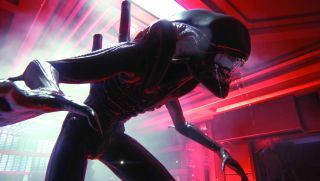 Creative Assembly—the UK-based studio behind Total War and the terrifyingly good Alien: Isolation—is developing a new, unannounced game. Details of three roles have popped up on the developer's website; lead technical artist, senior meta game designer, and lead systems designer. All three positions are linked to the new IP. While the advertisements aren't giving too much away, the Lead Systems Designer specification details the core gameplay systems, "such as weapons, movement, abilities, gadgets, health and other underlying gameplay systems." There's also a responsibility for "defining the range and depth of the core game experience, balancing the systems, looking at skill ceilings, complexity, challenge and player progression." On the other hand, the Senior Meta Game Designer is expected "to make their mark on our new undisclosed IP contributing to creation of genre-defining games and working with the industry’s top developers." It's hard to glean anything definitive from these descriptions, let's face it, but "genre-defining games" certainly sounds like a lofty aspiration, right? While we're on the topic of Creative Assembly, the studio recently detailed the latest changes coming to The Mortal Empires Reprisal Update beta.